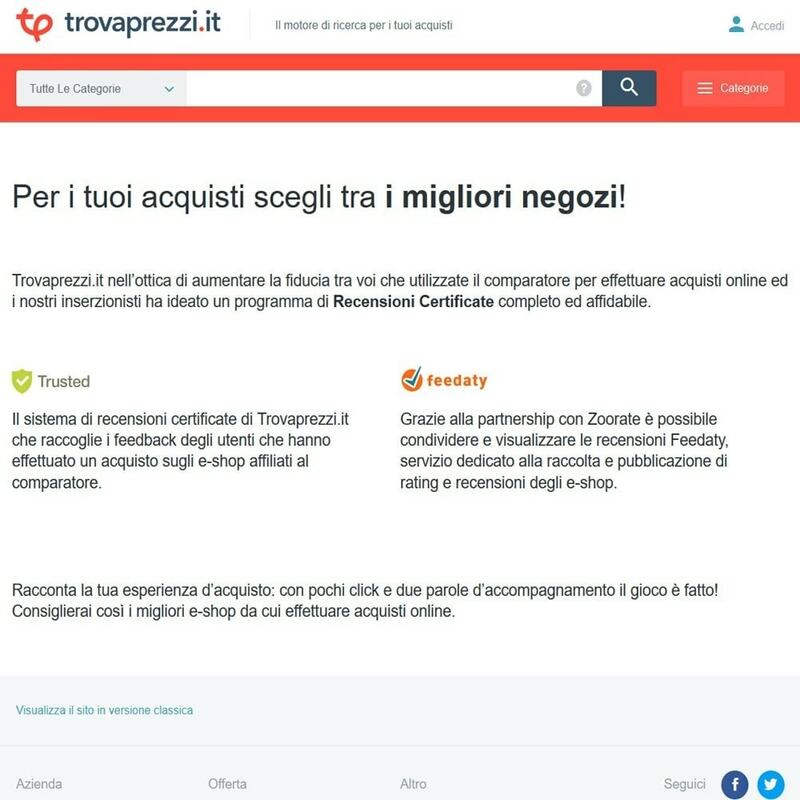 Trovaprezzi.it verified review system which gathers feedback from users who purchase items from e-shops affiliated with the price comparison portal. 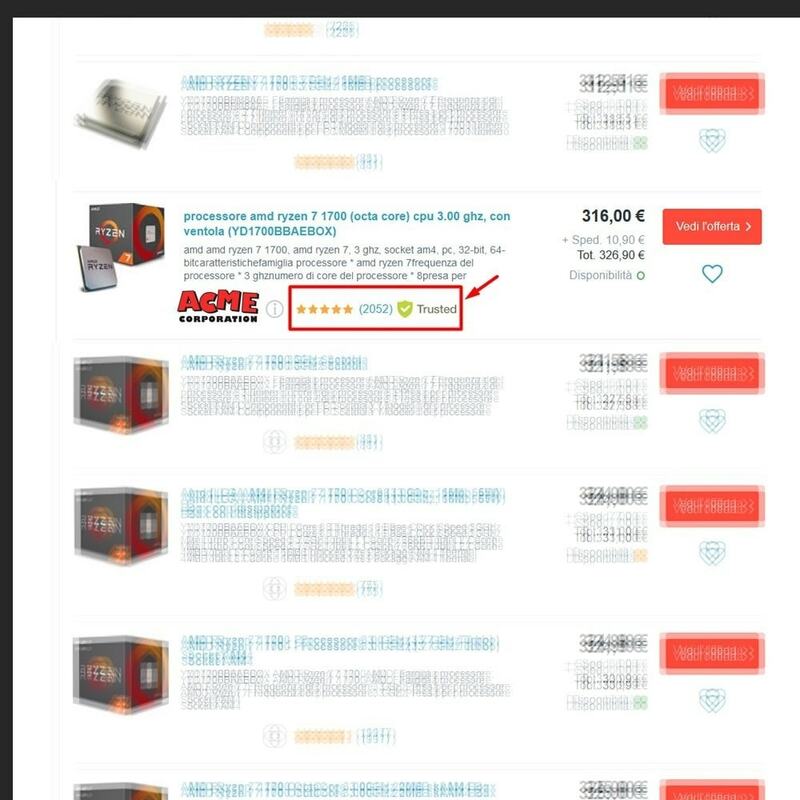 Reviews for products that you publish on the comparison portal will be visible, thus increasing conversions. 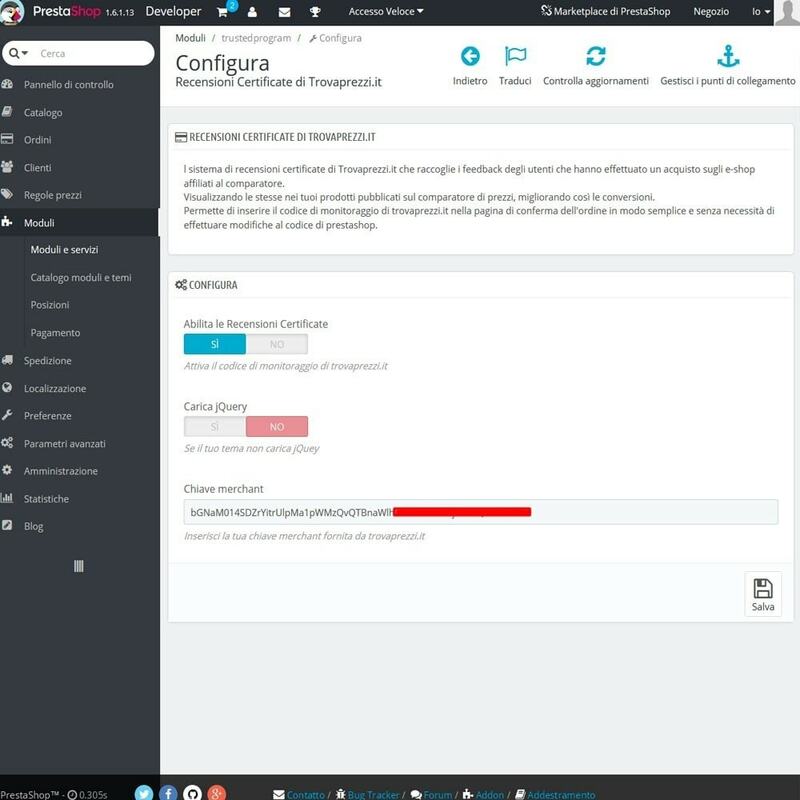 Allows for the insertion of a trovaprezzi.it monitoring code in the order confirmation page without having to modify the prestashop code.